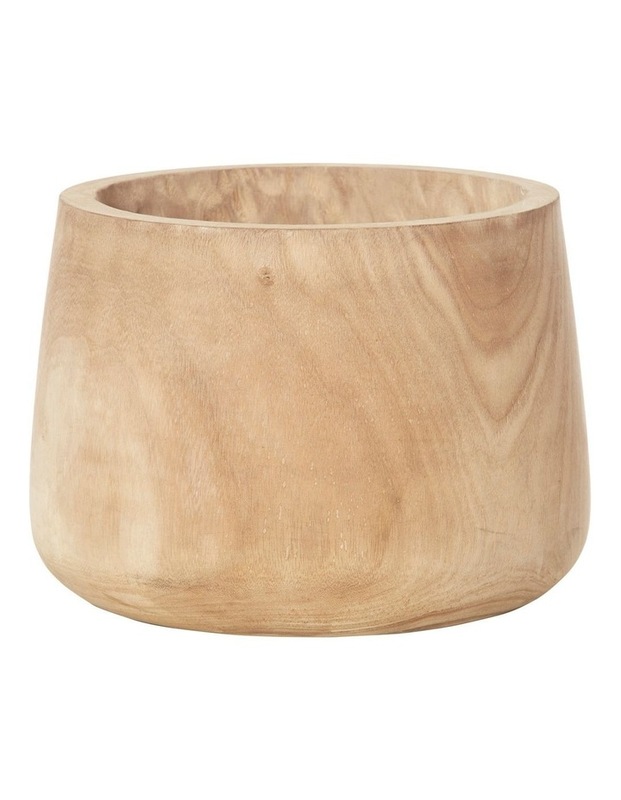 Rogue's Dansk Tub Pot is crafted from beautiful, natural paulownia wood. Each pot will show a unique grain. With its smooth lines and timeless appeal, Dansk has a particularly Scandinavian look. Suitable for indoor use with living or faux plants. If using a living plant, do not put directly into vessel. A smaller sized Dansk Tub Pot is also available.